Illustrated in Wifredo Lam: Catalogue Raisonné of the Painted Work, Volume II, 1961-1982, Acatos, Project Director: Eskil Lam, page 308, no. 69.01. Illustrated in Max-Pol Fouchet, Wifredo Lam, First Edition 1976, page 243, no. 555 and illustrated in Max-Pol Fouchet, Wifredo Lam, Second Edition 1989, page 263, no. 587. Accompanied by a photo-certificate of authenticity signed by Madame Lou Laurin-Lam, signed and dated, October 10, 1989, no. 89-69. 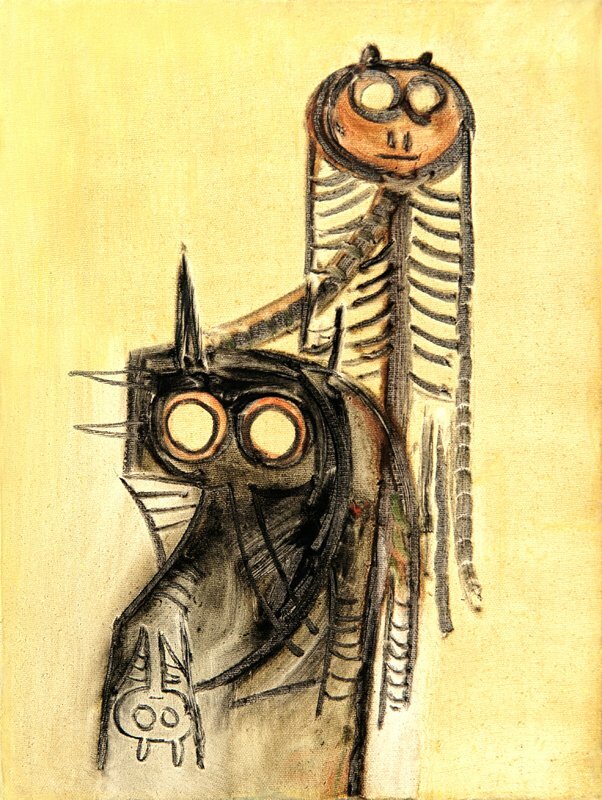 Our gallery will feature an impressive repertoire of Cuban and Latin American artworks by world-class modern masters and leading contemporary artists, including Wifredo Lam, Víctor Manuel, René Portocarrero, Roberto Matta, Fernando Botero, José Mijares, Gina Pellón, Flora Fong, Sosabravo, Vicente Hernández, Florido, Ramón Vázquez, Giosvany Echevarría, Irina Elén, Joel Besmar, Dayron González, Reynier Ferrer, Lilian García-Roig, and more.